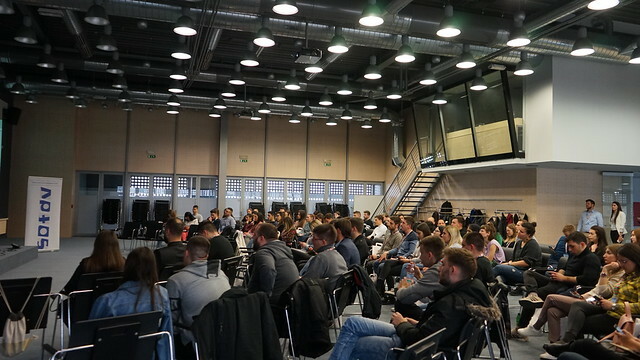 The Faculty of Social Sciences in Ljubljana was the setting of a panel discussion named „The Balkan Spring? Western Balkans and the rule of law” this Wednesday, March 27th. Public demonstrations in various countries of the region have expressed the will for societal change, and addressed their respectful governments to deal with focus points as corruption, limited civil liberties and media freedom. International forums for discussion and policymaker’s internal decisions in each of the countries will therefore determine the future of the region, and the future steps of their societies. 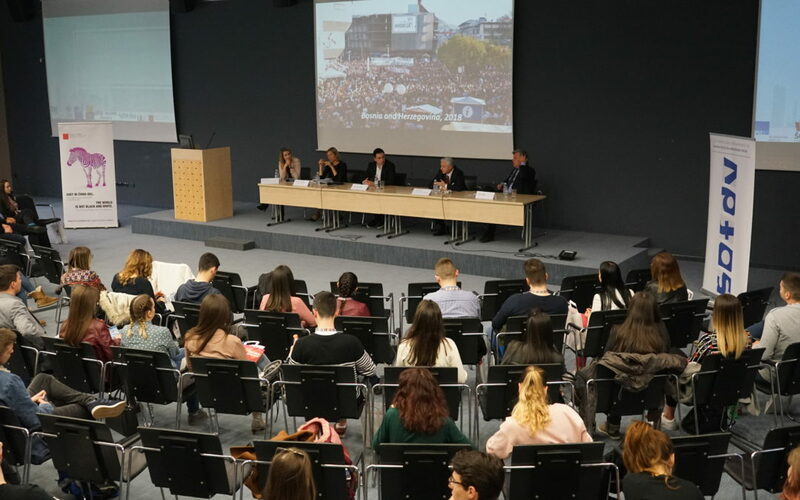 The event unveiled the protest movements „1 in 5 million“ and „Justice for David“, focusing on the direction in which their momentum is leading the public debate of their countries. The discussion was a setting for a constructive debate among the guest speakers and the audience, that touched upon many interesting perspectives and insights. The panel discussion welcomed representatives from academia, governmental institutions and media. CEP Executive director Ms. Katja Geršak, Mr. Daniel Fazlič, Editor and Journalist working for PRO PLUS, Ambassador Iztok Mirošič as Bled Strategic Forum Programme Director at the Ministry of Foreign Affairs of the Republic of Slovenia and Ambassador Vojko Vovk were invited as panel guests. The discussion was moderated by Ms Nina Pejič, Junior Researcher at the Faculty of Social Sciences. CEP is very proud and honoured, that our Executive director Ms. Katja Geršak had the opportunity to participate in the discussion as a panel speaker and contribute her vast knowledge in the field of International relations, especially in the region of Western Balkans to this debate. CEP will continue to work closely within the region , where we are participating with a series of international projects that aim at establishing cooperation and sharing of best practices. A bright future in international and domestic politics will be highly dependant upon synergies and cooperation, that is why CEP is proud of every opportunity to work as a partner, inspiration or just a mediator, bringing a small piece of our effort to the colourful wider picture.